Okay guys, St. Patrick’s Day is next week. If you’ve been thinking about putting together a festive treat for your children, students, friends – whatever – this is it. It’s easy and fun and you can’t go wrong with it. You don’t have to be Irish to make these either. They are neat treats to give to anyone who is special to you. Not just on St. Patty’s Day, but any day. You might be looking at these cups and thinking, “That’s a whole lotta Rolos for one person”! First let me say, no such thing! I kid, I kid. lol I know the first thing that would come to my mind is that my little guy is going to be off the hook with all that chocolate! Ha! No worries though. I put a nice layer of tissue paper inside the cup to build it up a bit and filled the rest with “gold”. I forgot to take photos of the process but it’s very simple! Step One: Cut out your Circles and Rainbows. 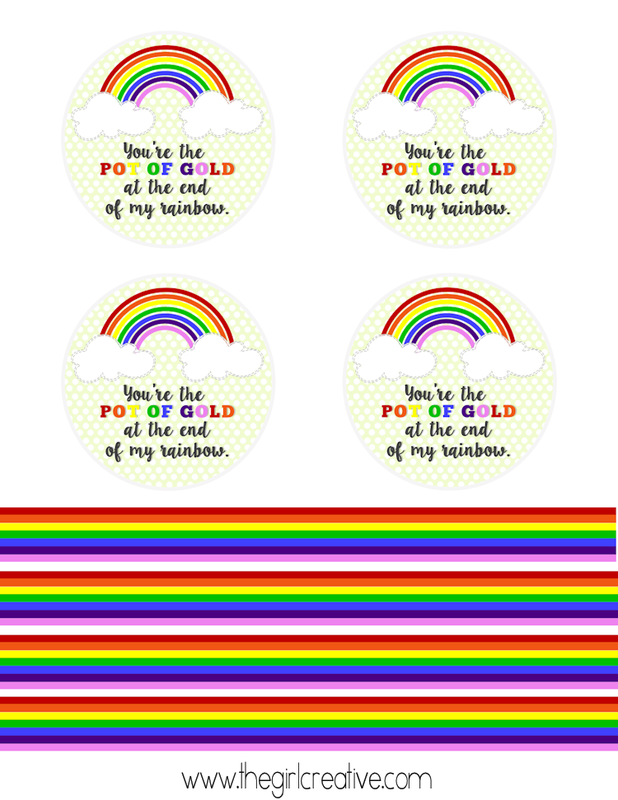 I used a scissor to cut out the circles because I didn’t have a 3″ circle punch and a paper cutter to cut out the rainbows. Step Two: Attach each circle to a Popsicle Stick with washi tape. If you don’t have any washi tape handy, scotch tape or glue should work fine. Optional: Tie a ribbon onto the stick to add a little more flare. 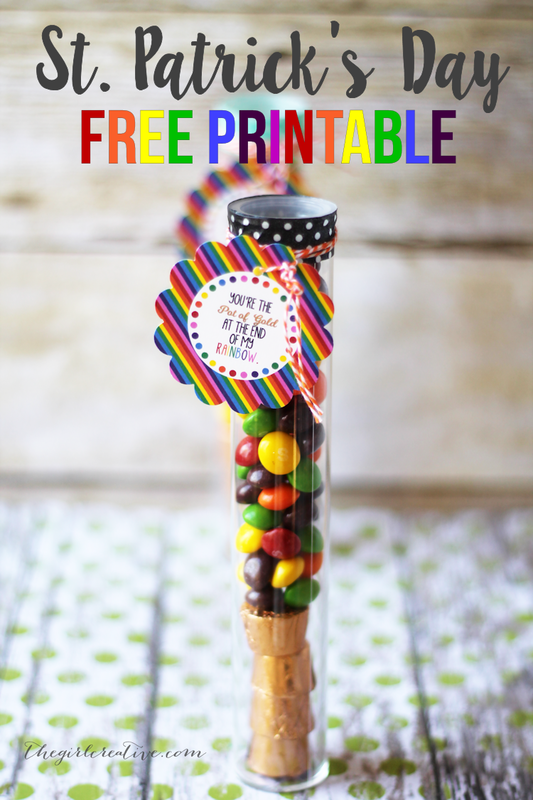 Step Three: Attach the rainbow to the inside of the paper treat cup. 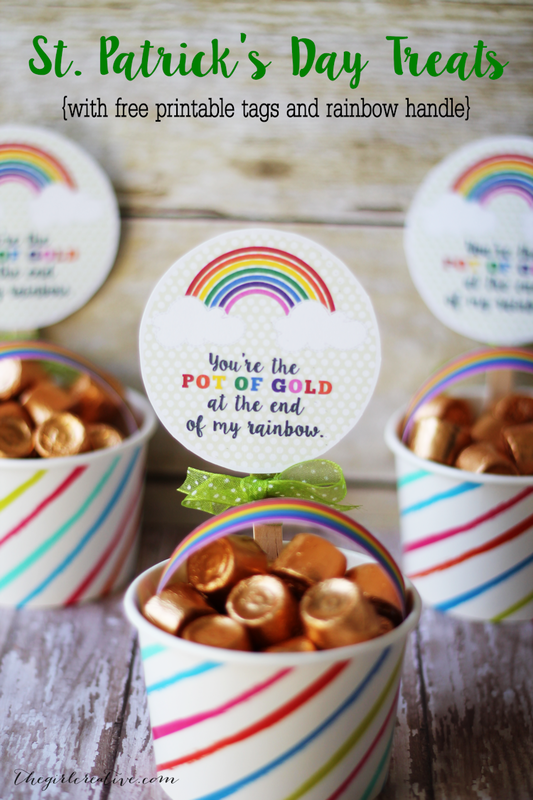 Use your double-sided adhesive to attach the rainbow to the inside of the cup. 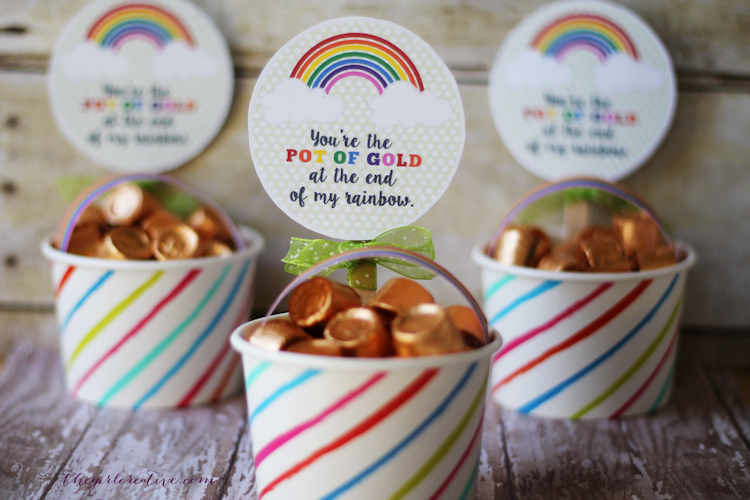 You will want to make sure each end of the rainbow goes all the way down the side of the cup so that it touches the bottom. Doing this will make sure the rainbow is not too high which may result in the tags being blocked. Step Four: Fill the bottom half of the cup with crumpled tissue paper. Fill the rest of the cup with Rolos so that they go slightly past the top of the cup. 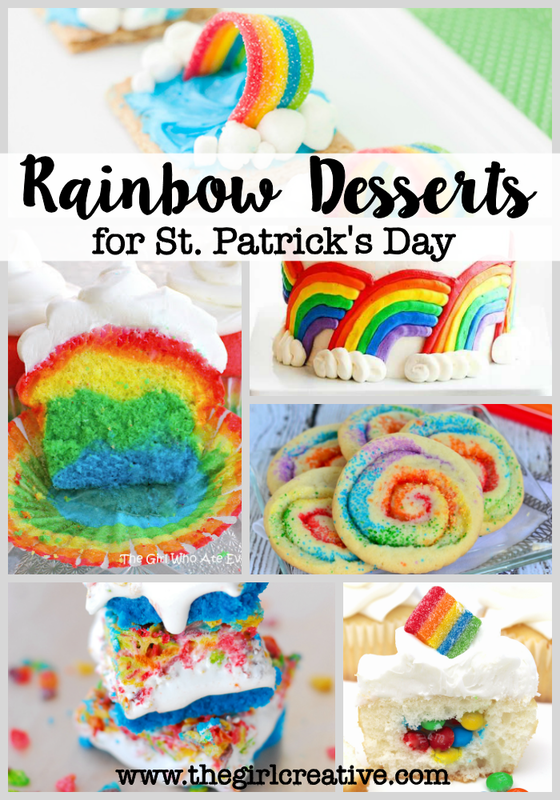 For more Pot of Gold and Rainbow Fun, check these out!